This latest asteroid-hunting spacecraft will use three cameras and a robotic arm to get a complete picture of an important asteroid. In the early evening of September 8th, 2016, Osiris-REx jettisoned from Earth to begin a three and a half-year journey to an asteroid named “Bennu”. Its objective: to land on the asteroid in approximately July of 2020, survey and acquire samples from it and bring them back to Earth for further study, with a projected return date of 2023. 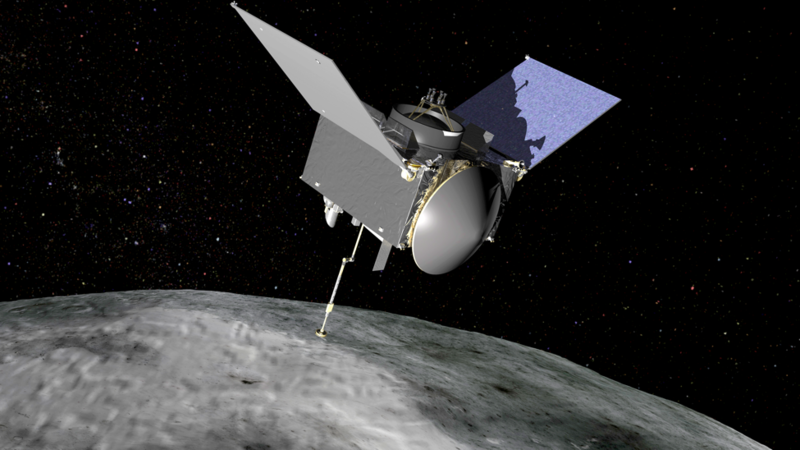 Totaling 7 years, OSIRIS-REx is only the third mission of its kind sent under the NASA New Frontiers program, preceded by Juno and New Horizon. Discovered on September 11, 1999 by the LINEAR project, Bennu is a carbonaceous asteroid in the Apollo group. This may not mean a lot to most people, but Bennu is a pretty significant piece of space rock. Why? Well, firstly Bennu is considered to be a potential Earth impactor, which is a scientific way of saying that it might hit us at some point. It’s listed on what’s called the Sentry Risk Table and has the second highest rating. However, this wouldn’t happen until the 22nd century, we have a while to figure out a game plan. The first step is to learn more. Secondly, Bennu is composed of material that comes from dying stars such as red giants and supernovae, and according to the accretion theory, this means it’s made of the material that came about during the birth of the Solar System 4.5 billion years ago. Primitive asteroids, such as Bennu, have remained more or less the same since they formed and because of this they have the potential to contain organic molecules that may have led to the origin of life on Earth. Along with its very intriguing composition, which may lead to answers to the age old question: ‘Where did we come from?’, Bennu was chosen because it’s a pretty ideal to both get to and land on. Size wise, Bennu has a mean diameter of 492 meters, or is bit taller than the Empire State Building. This is pretty significant as most asteroids close enough for us to study, otherwise known as Near Earth Objects or NEO’s, are smaller and a lot more tricky to land on. OSIRIS-REx will only reach Bennu in 2018, but this is pretty soon in space time. The information that this mission will glean may not only help us understand the origin of life, but it will aid scientists in the future around the potential impact Bennu might make on the earth. OSIRIS-REx was built not only with its long journey in mind, but its main objective: to collect information. 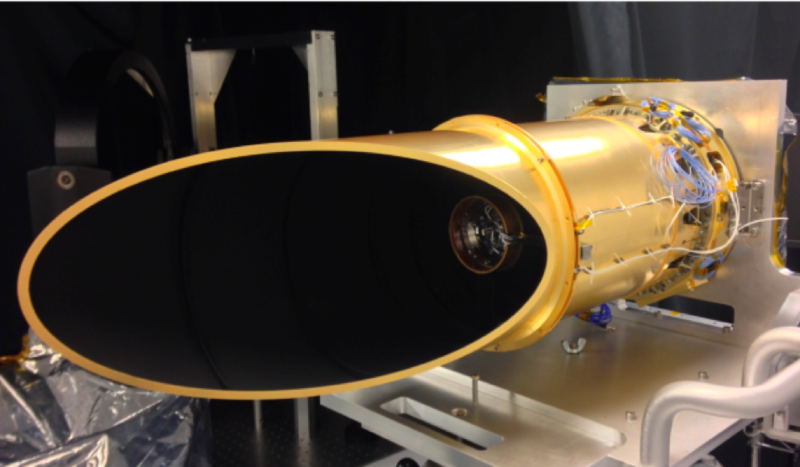 It’s arsenal of sophisticated equipment on board includes a camera suite developed by Teledyne DALSA in collaboration with the University of Arizona’s Lunar and Planetary Laboratory. The OSIRIS-REx Camera Suite, also known as OCAMS, consists of three camera systems: PolyCam, MapCam and SamCam. These cameras will image the asteroid Bennu as the spacecraft first approaches, provide global image mapping and sample site imaging, characterization, and record the entire sampling event during its touch-and-go maneuver. Caption: All three OCAMS cameras use Teledyne DALSA, Inc. 8.4um 1024 by 1024-pixel IC-20-01024- 00-R detectors. The detectors are radiation-hardened, use an electronic frame-transfer shutter and are very low noise using Multi Pinned Phase (MPP) technology. Starting from a distance of 2 million kilometers, the satellite will be able to capture images of the asteroid, Bennu with the Polycam. The images will be used for navigating the approach – measuring precise rotation rate, phase curve and other properties to confirm what ground-based sensors have told us. At this point, OSIRIS-REx will complete a series of flybys of the polar regions of Bennu, and collect images from different angles, covering at least 80% of the asteroid’s surface generating high-resolution, monochromatic images and full-color data. These initial maps will be used to construct a refined shape, model, and delineate craters, large boulders, identify surface features – and most importantly: discern 12 potential sampling locations on Bennu’s surface. Once the survey phase is complete, OSIRIS-REx will enter a polar orbit around Bennu several hundred meters above the surface, where higher resolution imagery is collected, and sample location sites are narrowed down from a dozen to 4. It will then complete a series of flyovers over the four finalist sites and use the PolyCam, which will convert its telescope mechanism into that of microscope, to capture information on the properties of the sample site candidates. This will help resolve any dangers and confirm whether or not the sites contain the samples they’re specifically looking for. The final site is selected based on this information and the Touch-And-Go Sample Acquisition Mechanism (TAGASM) phase begins, which employs both the MapCam and the SamCam throughout the process. During this phase a robotic arm with a sample head attached extends from OSIRIS-REx while it hovers just above the asteroid’s surface. It hits the surface of Bennu for a total of 5 seconds, releasing a burst of nitrogen gas which will cause the loose rocks and the surface soil to stir up and collect in the sampler head. 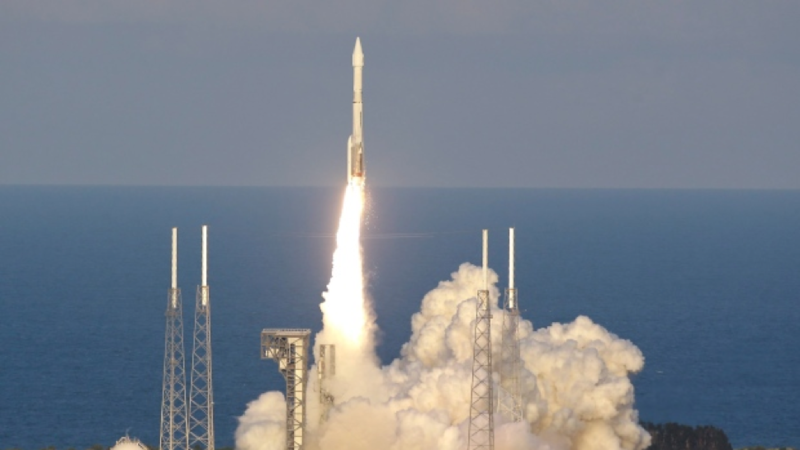 OSIRIS-REx only has enough nitrogen for 3 attempts, and will obtain up to 2 kilograms of sample. Once this operation is complete, the robotic arm and sample head will be stowed in a sample return capsule for its journey home. The window to depart Bennu starts in March of 2021, at which point OSIRIS-REx will fire its main engines and leave Bennu, with a ballistic trajectory that intersects with Earth in September of 2023. Four hours before entering the Earth’s atmosphere, OSIRIS-REx will project the sample return capsule towards earth and then deflect itself into an orbit around the sun. Once the sample return capsule reaches an altitude of 1.9 miles above earth, a parachute will deploy and bring it in for a landing in the Utah desert on September 24, 2023, marking almost exactly 7 years since it left Earth. The capsule will then be opened and its contents analyzed by scientists who will look for amino acids and sugars, otherwise known as the building blocks of life. Should OSIRIS-REx succeed, we will obtain a wealth of knowledge that will hopefully benefit us in three ways. 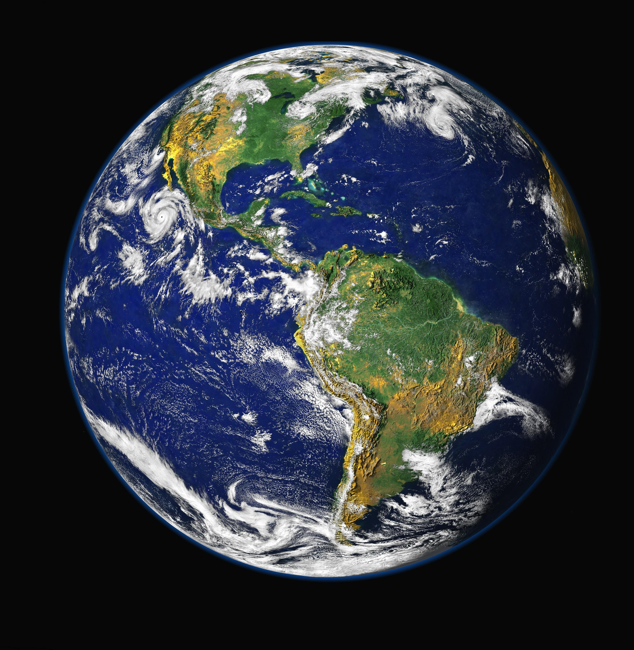 Firstly, it might give humankind an idea of what we came from. Secondly, we’ll have a better idea of what Bennu is like, and in the unlikely event that it might impact Earth, we’ll be in a more advantageous position to manage it. Thirdly, OSIRIS-REx is paving the way for other missions of its kind, namely, the Asteroid Redirect Mission which NASA plans to launch in the 2020’s, which will extract a boulder sized sample from a near earth asteroid and propel it into the Moon’s orbit so we can study it more closely. This mission will help advance new technologies and spaceflight experience and enable us to complete the first human exploration mission to our most intriguing neighbour, Mars, planned for 2030. David Head is a Strategic Account Manager for Teledyne DALSA’s standard and custom products, providing high performance digital imaging solutions and technologies to customers in some of the most demanding applications in this world and beyond. 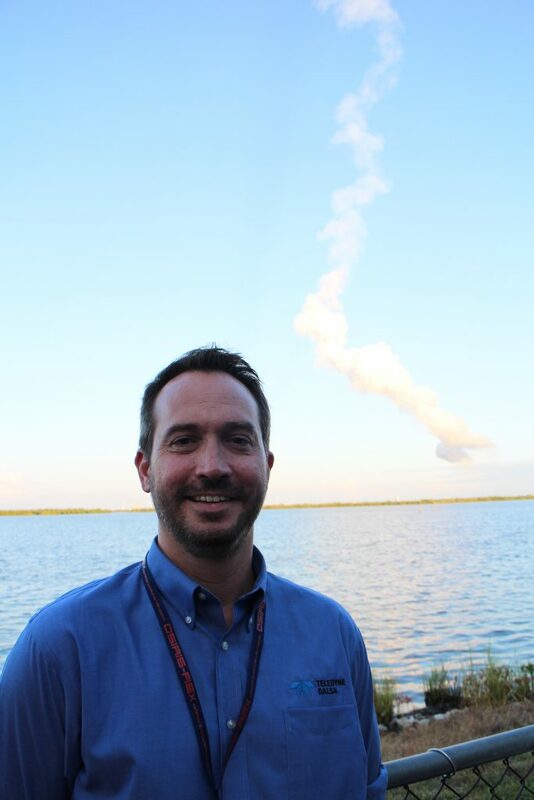 He views the OSIRIS-REx mission as one of humanity’s most important missions and is proud to have participated in the design, construction and testing of the imagers for the OCAMS and was thrilled to be able to attend the launch earlier this month. If you look closely at his photo, you can just see the smoke from the lift-off of the OSIRIS-REx mission.